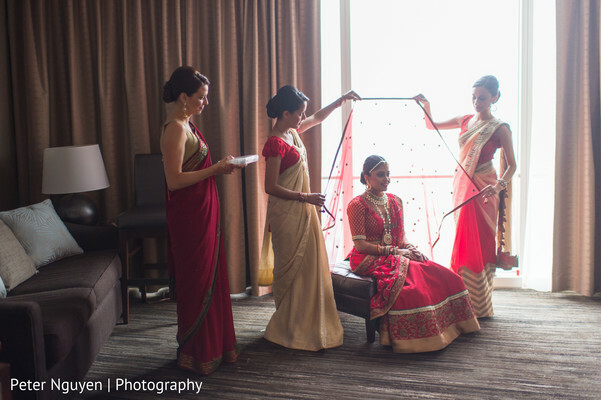 The highly-talented Peter Nguyen Photography and Nebulous Dream join forces to show us a romantic Indian wedding in the ATL in Georgia! 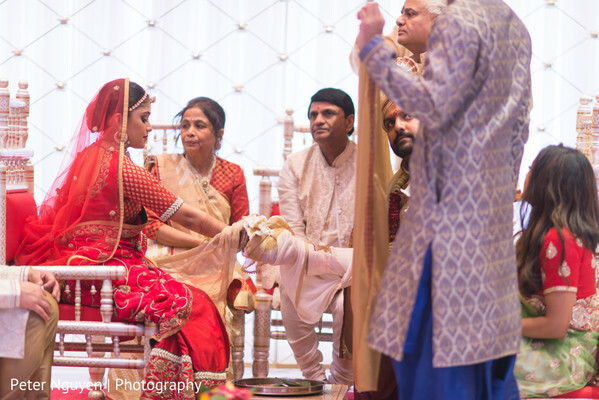 Maharani Anokhi and Maharaja Hitesh both had their fashion ensembles custom-made by Binari Art for their big day. 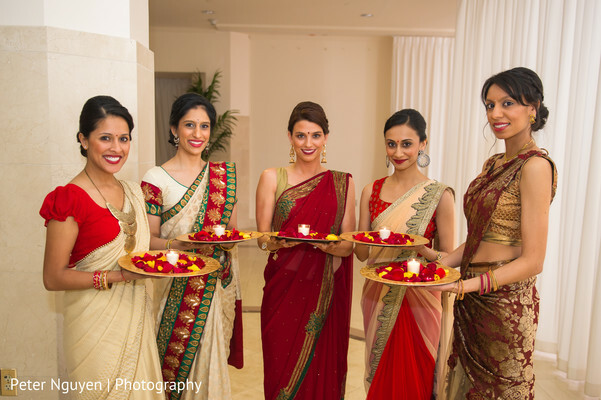 Anokhi looks fabulous in her red and gold lengha sari! I am loving her chunky, gold necklace by Art Karat, and the intricate mehndi design by Elegant Henna! Don't you dare move a muscle because we've got more in store including a grand reception, but for now, visit the gallery for more awesome details on this event! "I had known my husband since college but the timing had not been right. I became re-acquainted with him during a surprise birthday party that my friend and brother had thrown for me. We got to talking, decided to spend time together and the rest is history." "One of our first dates had been to climb stone mountain park in Georgia. He had been adamant on hiking up stone mountain during a cloudy summer day. He even packed snacks in a backpack! We reached the top of the mountain and per our hiking tradition made me pose for a picture. Once we began our decent, he became hungry and wished to stop and eat our snacks. I had been indulging in chocolate chip cookies when I asked for something to drink. Instead, he pulled me up with one hand got down on one knee and had a ring in the other hand. It was the best surprise of my life!" "I worked with Kim Jerguson for hair and Nalani Bott, of Beautybott, for my makeup. Kim had done my hair at a friends wedding before and Nalani had also done my makeup before. I wanted different looks for each occasion and outfit. I wanted my hair and makeup to be something that spoke for itself and was unique to each occasion. Nalani and Kim were able to look at my outfits, here my vision, and use their own creativity to make the perfect look happen." 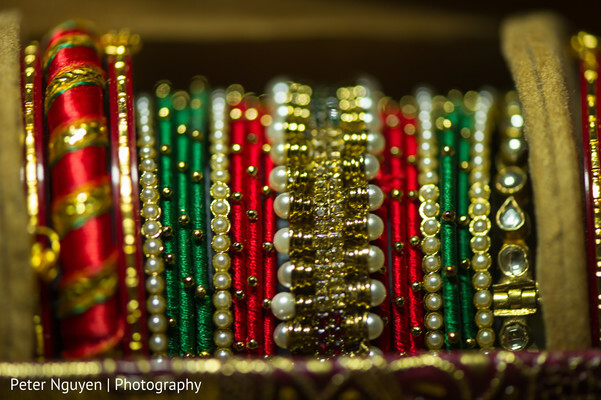 "I enjoyed working with Binari Art in designing my wedding and reception outfit and my husband's wedding outfit. I was able to show Ranisha numerous pictures, share my vision, and she worked her magic to make it come to life." "We decided to get married in December. With that I wanted a beautiful Winter wedding that was simple and elegant. I wanted a venue that stood out on it's own and required simple accent decorations. 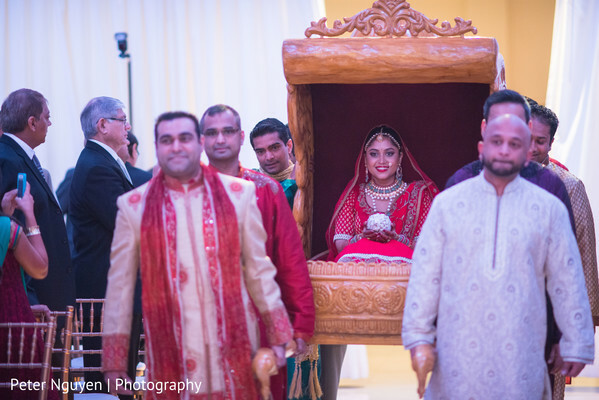 For the wedding ceremony, I wanted something traditional to go with the elegance of the venue." 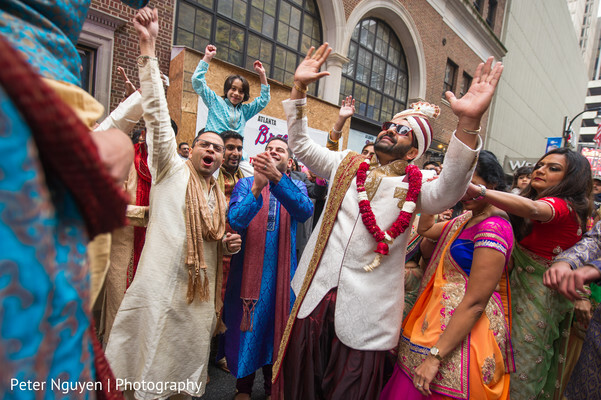 "Walking out for the first time as husband and wife was the most special moment for me. It didn't symbolize the end of the wedding but the beginning of our journey." That is so sweet! Reception images are next! 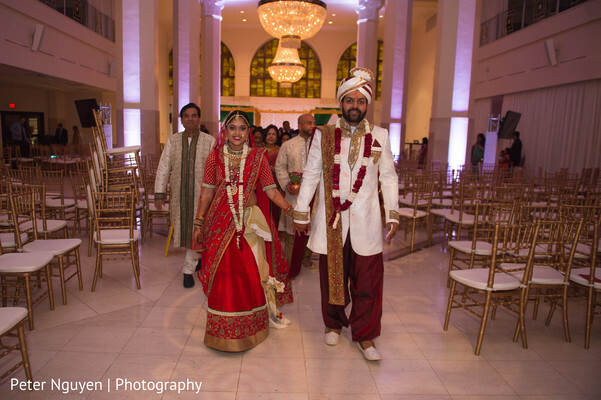 Elegant Weddings & Decor by Priti Patel and Peter Nguyen Photography are members of the Platinum Guide. Love what you see? Explore their portfolios.